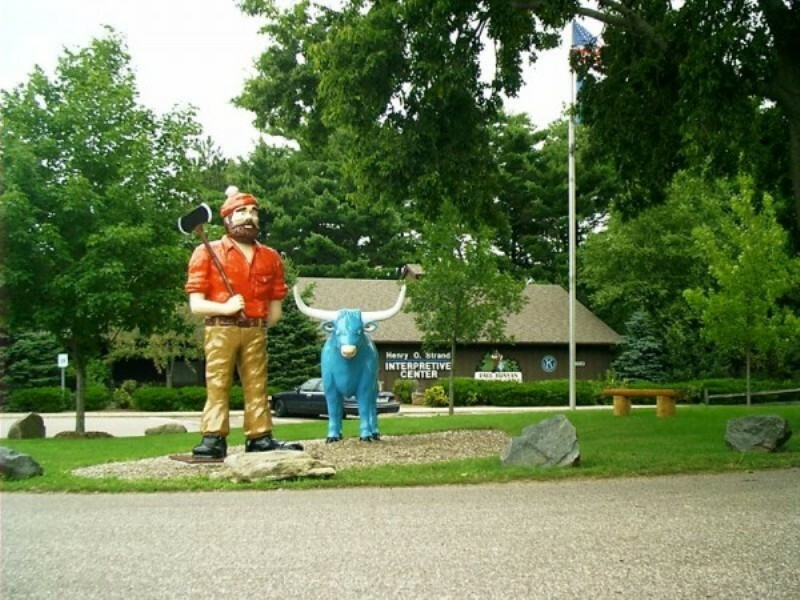 The tales of Paul Bunyan and Babe the Blue Ox may be told wherever larger-than-life lumberjacks felled timber, but anyone who’s ever been to Eau Claire’s Carson Park knows where the ax-wielding giant and his bovine companion really make their home. Amid the park’s stately pines, you’ll find fiberglass incarnations of Paul and Babe standing guard at the entrance of the Paul Bunyan Logging Camp Museum. The statuesque duo are said to be the most-photographed attractions in town, but don&apos;t just stop to snap a selfie: The Paul Bunyan Logging Camp Museum offers a fascinating exploration of the lives of the real men whose exploits inspired the Bunyan legends. 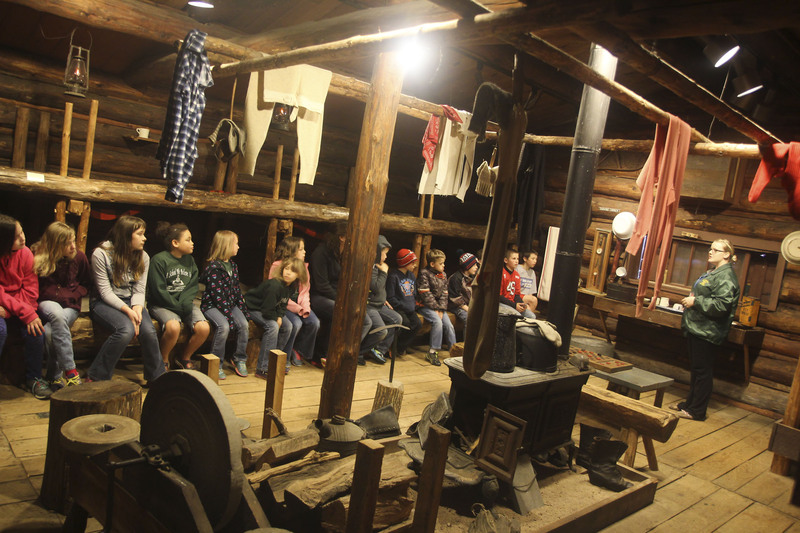 Visitors of all ages can learn about northern Wisconsin’s 1890s logging era through stories, exhibits, artifacts, and period-style camp buildings, which were built in the 1930s under the supervision of a man who’d built real logging camps. 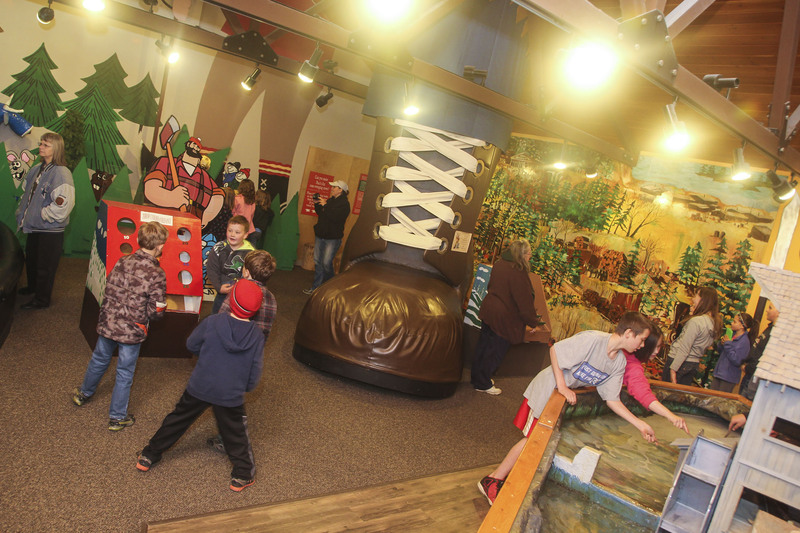 Inside the museum itself you’ll find a video describing the region’s logging history, interactive exhibits, vintage photos, and tools, as well as the popular Paul’s Tall Tales Room, which gives younger children a chance to step into the Bunyan stories – quite literally: They can skate on “bacon slabs” (just like Paul’s fellow lumberjacks did to grease his breakfast griddle) or clamber on one of Paul’s gargantuan boots. With the help of knowledgeable guides, kids will also learn that despite Paul Bunyan’s legendary size, most 19th-century lumberjacks were quite small, at least by 21st-century standards: Peterson says the average lumberjack stood about 5’4” and weighed 140 lbs. The Paul Bunyan Logging Camp Museum is located next door to the Chippewa Valley Museum, and although they are distinct institutions, visiting them on the same day makes for a good historical two-fer. 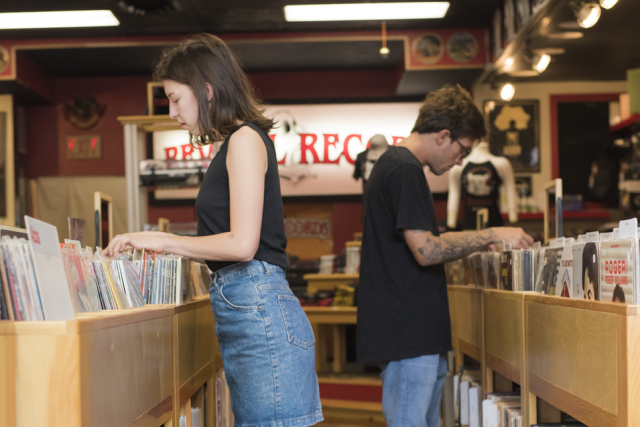 (Pro tip: If you buy tickets to both at the same time, you’ll save a few bucks.) The logging camp is open from May 1 to Sept. 30, but it’s really buzzing early each August when it hosts the U.S. Open Chainsaw Sculpture Championship, during which chainsaw-wielding artists from around the world turn logs into creations Paul Bunyan could only have dreamed of. 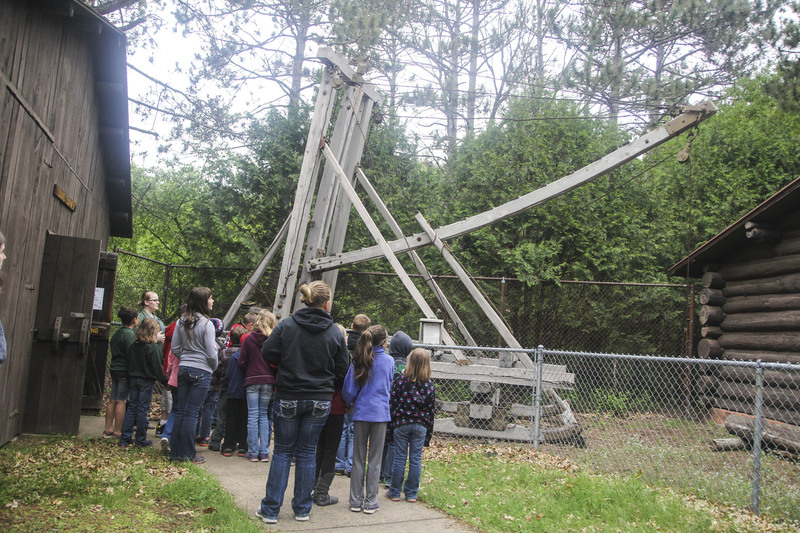 Paul Bunyan Logging Camp Museum • 10am-4:30pm daily, May 1-Sept. 30 • 1110 Half Moon Drive (inside Carson Park), Eau Claire • $7 adults, $4 children (joint tickets with the next-door Chippewa Valley Museum are $12 adult, $6 children) • (715) 835-6200 • You may also visit their website here.